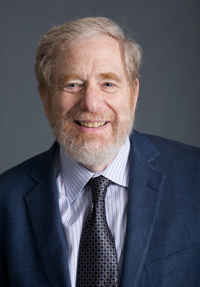 Georgetown Constitutional Law Professor Michael Seidman’s January 2nd, 2013 New York Times Op-Ed “Let’s Give Up on the Constitution” has created a stir. While some dismiss his op-ed as a rant based on frustration that House Republicans are raising mild protest to the President’s tax agenda, Seidman’s proposal carries monumental consequences for America and should be roundly rejected. Seidman argues that America should abandon the Constitution because (1) America hasn’t historically always followed it, (2) People disagree about “originalism” vs. “living constitutionalism,” (3) The Founders were white, owned property, were not perfect and are dead, and (4) We can protect all of the good stuff like freedom of speech etc., “out of respect, not obligation.” This professor proposes we treat the Constitution more like a list of suggestions, admitting that abandonment is not coming any time soon. Articles like Seidman’s start national conversations, even if most of us dismiss the idea as absurd. They become the fodder later for intellectual assertions like “we have been talking about this for decades, it is time to act,” as occurred with the national takeover of the healthcare system which most Americans opposed and still oppose. •	The Constitution says who and what we are, as a nation. America’s uniqueness is that it is founded on ideas and principles, gathered deliberately from the wisdom of Judeo-Christian values, western philosophers and brilliant thinkers. At the core the Constitution was designed to protect individuals from the power of the government, because individuals are viewed as inherently having rights from God that government must protect. o	Our DOI refers to our “Creator” endowing all with equality and inalienable rights. The Constitution’s guarantees flow from that Judeo-Christian concept, including complete respect for the individual’s right to freedom. That has created the most religiously diverse, equality minded, generous and tolerant (admittedly imperfect) nation on earth. o	Contrast our Constitution with new Constitutions in the “Arab Spring” countries, filled with references to the government’s powers and the superiority of Islam and Sharia law, while very light on women’s rights, or anyone’s for that matter. o	In contrast to Seidman’s characterization of the Constitution as a “poetic piece of parchment,” the ideas underlying the document have made America the nation on earth that leads in the protection of individual rights. o	Setting out those rights in the Constitution’s Bill of Rights separate them from the legislative whim of those in power at any time. • The Constitution is a barrier against the corruption of absolute power, a line in the sand against tyranny. o	Does anyone believe that, out of respect, the government will never interfere with its detractors’ protests, if the detractors have no constitutionally protected free speech rights? o	To paraphrase Lord Acton’s 1887 statement, power still corrupts, and absolute power corrupts absolutely. Evil exists in the world today, even in America, and rights spelled out for all protect everyone, albeit imperfectly. •	Without the Constitution, we have no baseline standards. o	Of course the Constitution’s ideals are not always followed. In 1896, in Plessy vs. Ferguson the USSC decided racially segregated schools (separate but equal) were permissible under the Constitution, and it was later in 1954, in Brown vs. Board of Education that the USSC got it right and ruled that separate but equal is inherently unequal. o	It was the Constitution’s baseline equality standard that gave the USSC a basis to reject the separate but equal evil/myth from Plessy. •	There’s no basis for assuming ongoing stable government structure, free elections and control of the government by the people, without the Constitution. o	Seidman says we should just not “have a debate about… how long the president’s term should last or whether Congress should consist of two houses,” and that we should not have an “all-powerful president free to do whatever he wants,” and seems to support the continued supremacy of USSC rulings in disputed cases. o	But without the Constitution, on what basis is any of what Seidman wants, assured? What is to stop the rise of tyranny, the future President who declares himself President for life, who dissolves the Congress, who suspends the right to vote? We have never worried about those far-fetched sounding eventualities, because of the Constitution. o	If there is no established “final law of the land,” in the form of a Constitution that cannot be changed without a deliberate process in which citizens are involved, it is power and not law that will decide our nation’s future. o	Obviously, the document itself does not prevent future abuses, but it gives the national conscience a principled basis for rejecting them. Demanding Constitutional rights be respected is neutral. o	We have two centuries of jurisprudence that shape our national identity and sense of freedom and rights -- a rich heritage, not to be thoughtlessly abandoned. That ought to give a hint of why some liberals attack the importance of the Constitution: it interferes with their agenda, or at least with their worldview. Professor Seidman writes from the intellectual ivory tower, and perhaps out of a sense of agitation over some seemingly cumbersome aspects of the Constitution’s requirements. But his proposal is not intellectual—it is an attack on one of the greatest foundations for protection of the individual that human societies have constructed, and deserves strong rebuke.